What is the chronology of Bhakti? How did the concept of Bhakti evolve over a period in the Indian subcontinent? What are the social impacts of Bhakti in the inner lives of people? Who was responsible for these religious developments? Who held the agency to bring out these changes in Indian society? 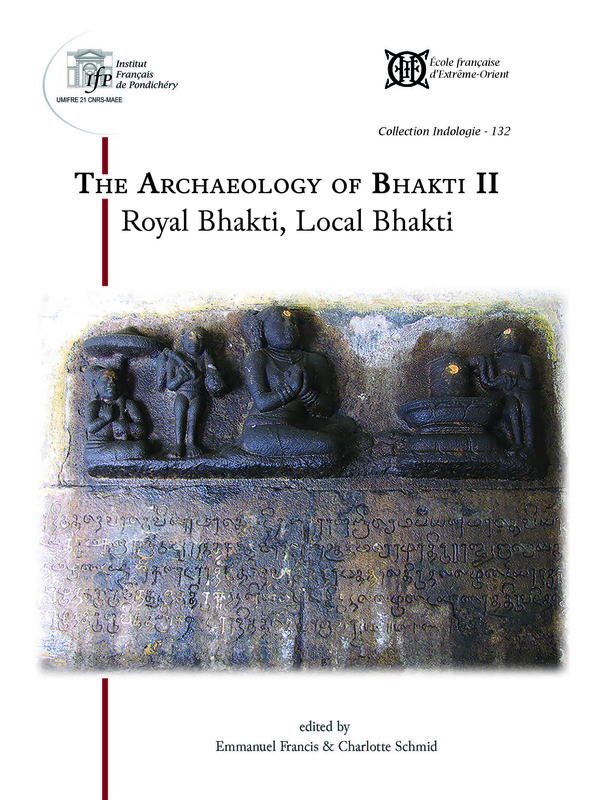 Addressing these questions in his thoughtful afterword to the book The Archeology of Bhakti II, Royal Bhakti, Local Bhakti (edited by Emmanuel Francis and Charlotte Schmid), Richard H. Davis acknowledges that by all accounts the Cōḻa period represents a time of consolidation and institutionalisation of Bhakti within the Tamil-speaking region. Cōḻa rulers built magnificent temples dedicated to Śiva and Viṣṇu; it was during their rule that Cēkkiḻar composed ‘Periyapurāṇam’, and the Śaivite saint-poets came to be revered as exemplars of devotional life. Collections of their hymns were compiled and incorporated into the liturgical programmes of the Śiva temples. All these may point out that the rulers were really responsible for the promotion of devotional religion and its associated social developments. However, Uthaya Veluppillai's article ‘Where are Kings? Sites of Birth and Death of Campantar’ tells us a different story. Visiting the places of birth and death of the saint-poet Campantar in the Cauvery delta region and comparing the archaeological evidence with textual enunciations, Veluppillai is able to highlight the importance of local patronage in the development of Śaiva Bhakti tradition. Studying the inscriptions of Śiva temple in CīrkāḻI, the birthplace of Campantar, Velupillai asserts that patronage was the exclusive affair of the local people and not a single king made any donation to the temple. To support her argument, Velupillai further presents in chronological order the summaries of the epigraphical corpus in an accessible tabular format. Arguing that there is no firm evidence, either internal or external, for establishing an unquestionable chronology of Tamil Bhakti, Valérie Gillet in her introductory note to the appropriately titled book Mapping the Chronology of Bhakti Milestones, Stepping Stones, and Stumbling Stones, Gillet presents a strong case for corroborating textual corpus with that of epigraphical evidence. 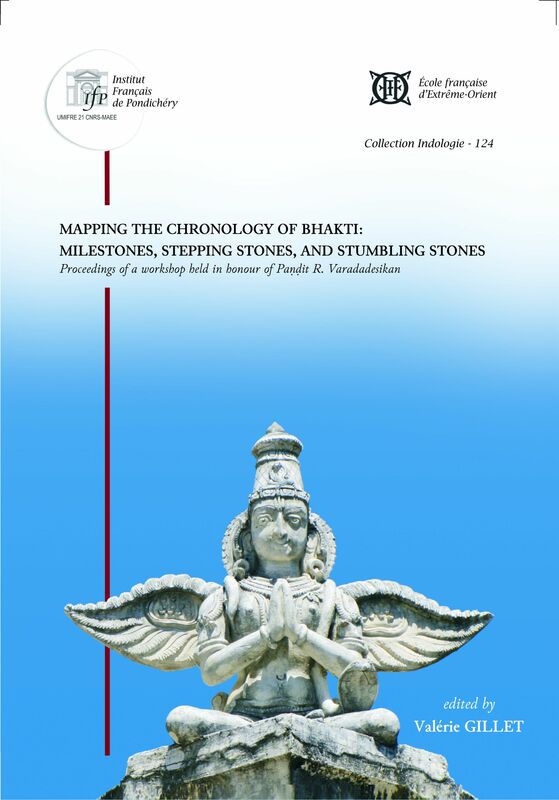 Gillet also points out the two critical absences in the mapping of chronological exercises concerning Bhakti. The first is Subrahmaṇya/Murukaṇ who continues to have a strong impact on the Tamil Bhakti tradition. The second figure is the goddess Durgā. Gillet highlights that though Tamil Bhakti corpus does not devote any particular poems to her, Durgā worship flourished in the Tamil region since the Pallava period. 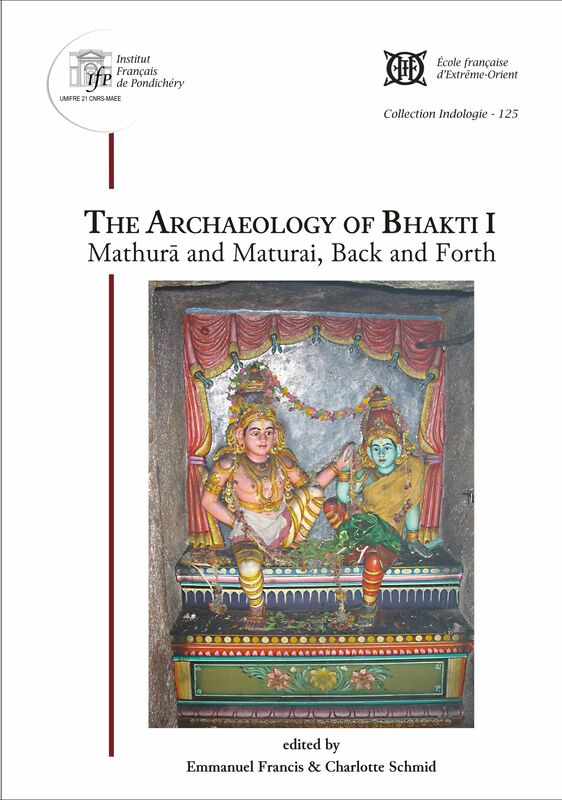 Another article by Gillet, ‘When Tradition Meets Archeological Reality: The Site of Tiruccentūr’ in the book The Archeology of Bhakti I Mathurā and Maturai, Back and Forth, further explores her conviction to compare the textual sources with the archaeological evidence. Reading the long epigraph engraved on the slabs at the Tiruccentūr temple, pertaining to a period under the Pāṇḍya rule, Gillet surmises that though during the 9th century the main deity of the temple was Subrahmaṇya, it does not imply the temple was originally conceived as a Subrahmaṇya temple. She suggests that the presence of a large reclining Viṣṇu and Gajalakṣmi as well as their position facing the sea confirms the hypothesis that the temple was either dedicated to Viṣṇu or to multiple deities. Without resorting to any archaeological and epigraphical evidence M.D. Muthukumaraswamy historically traces the development of Bhakti as a religious idea in his essay ‘Dynamics of Bhakti’. Muthukumaraswamy's historical account of Bhakti as an idea traces the transformation of Bhakti from being devotion to service through various ages. His essay is in agreement with the other essays presented in this module especially with the idea that the force of history democratised Bhakti and made it a movement for the common people. This module is part of a collaboration between Sahapedia and the French Institute of Pondicherry.